The "Nightingale" model builds on a traditional shape. 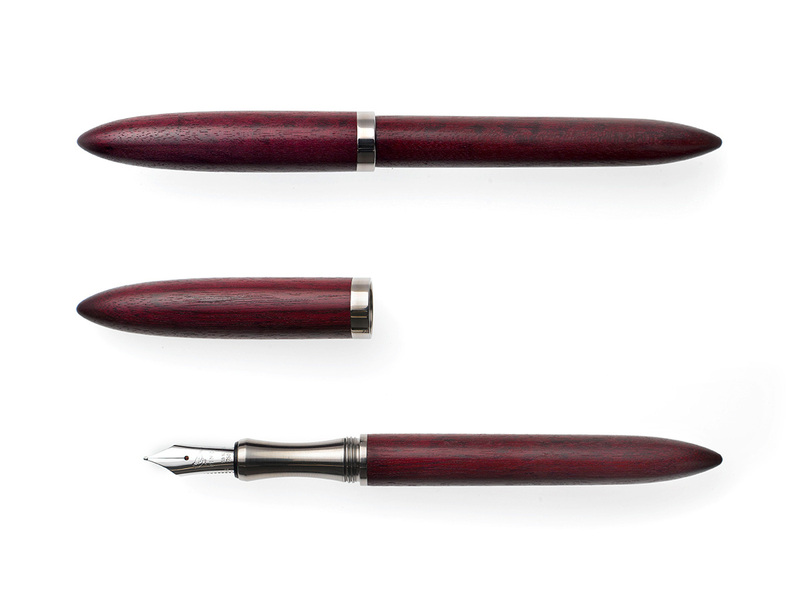 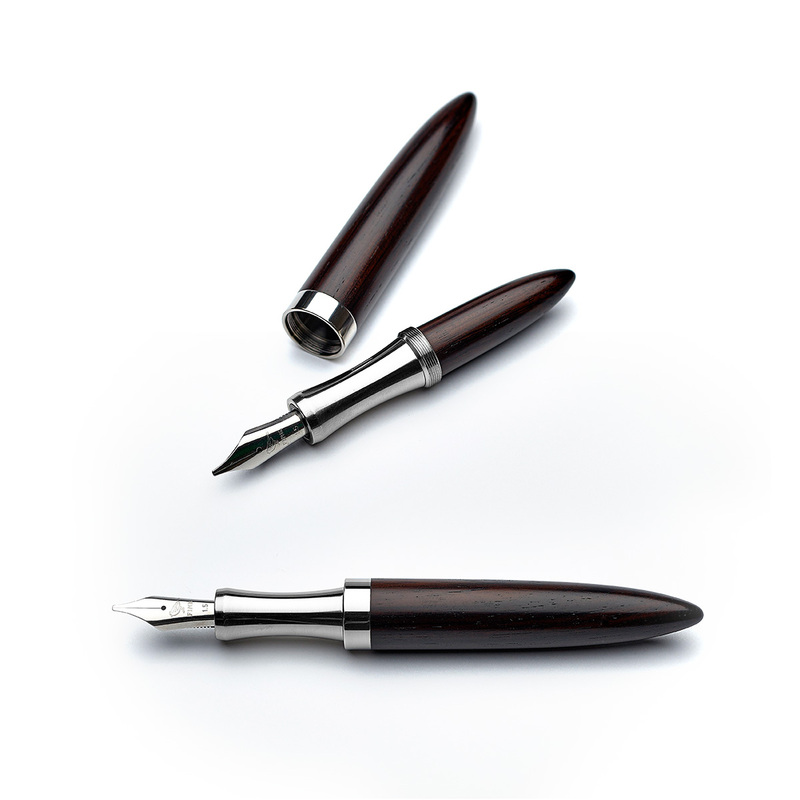 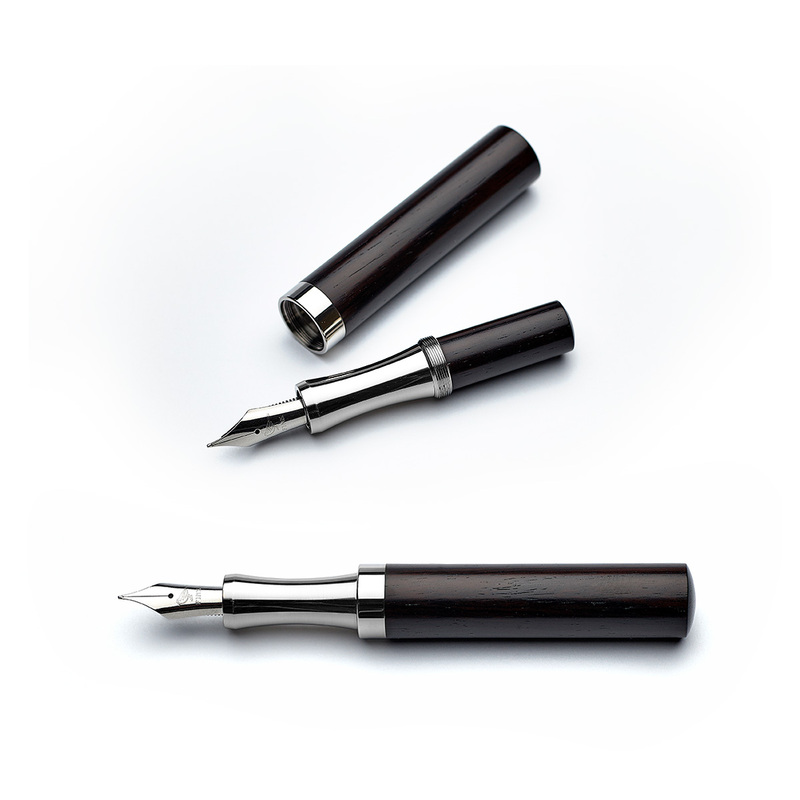 The result is a modern classic, an elegant and timeless fountain pen. The shaft adapts to every hand and can easily be led with precision. Who chooses this pen has found one's style. Stefan Fink's writing utensils are unique pieces and the presented showcase is exemplary. If you want to learn more about the availability of the presented models or if you are interested in one of the pieces to be made of another wood from Fink's stock, please get in touch for advice. 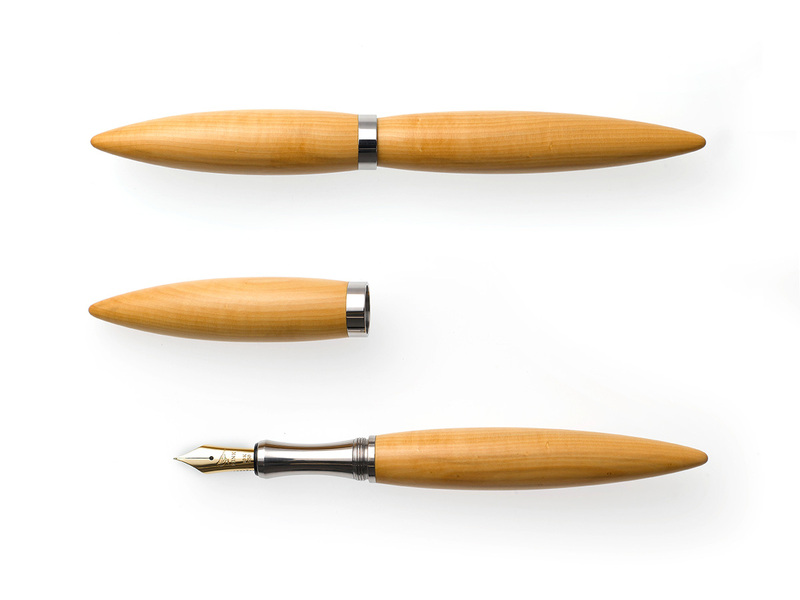 On the phone, +49 40 247151, via E-Mail or in person in Stefan Fink's workshop. 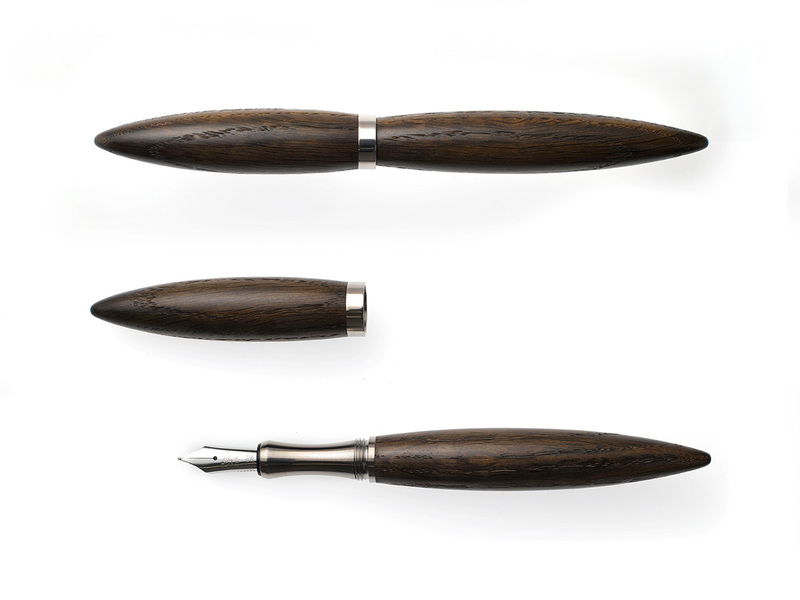 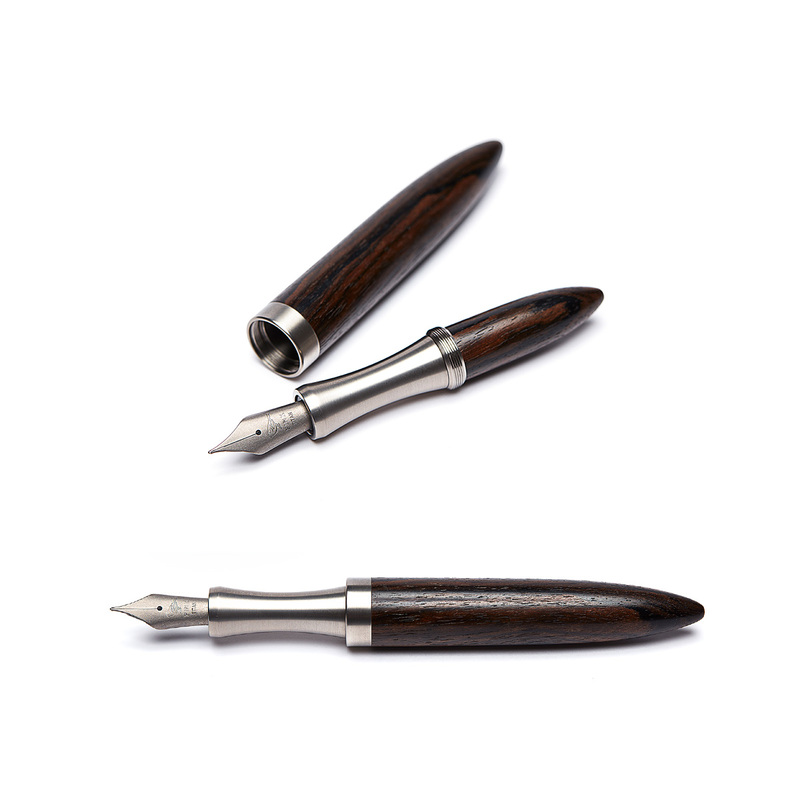 Please note that Stefan Fink's writing utensils are one of a kind, differing in wood colours and figures. Prices vary for each model, from 270€ for a draft pen. 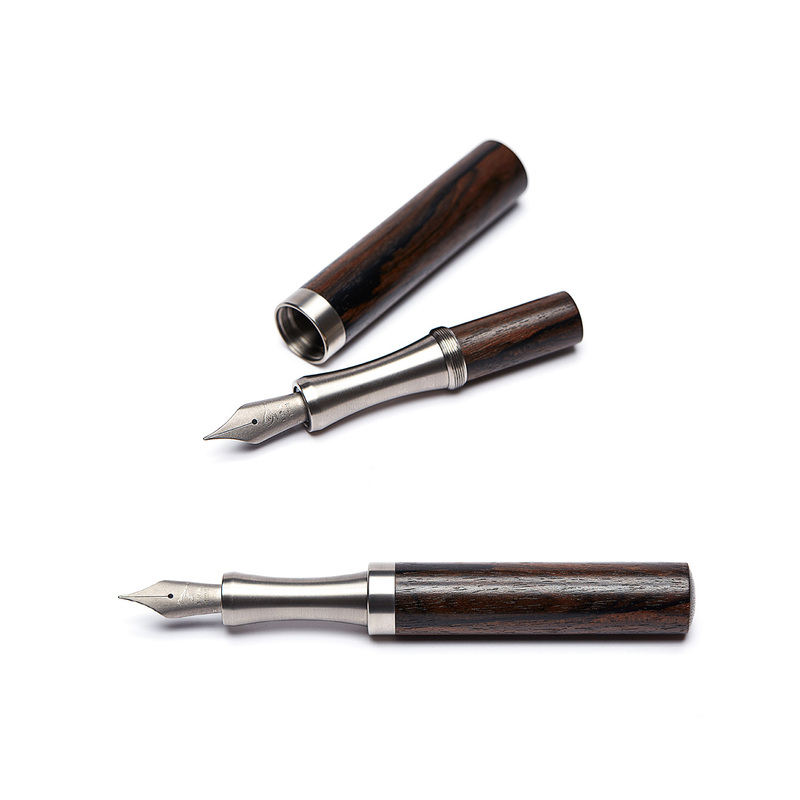 Each writing utensil comes with a fulled leather case and a Stefan Fink ink flask.